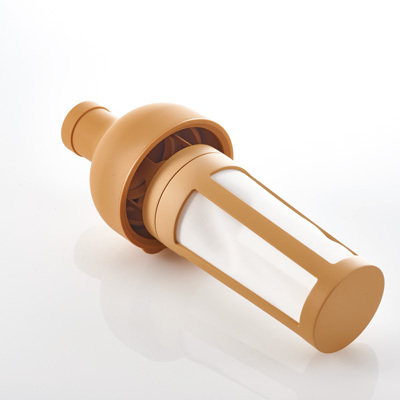 In summer-fun accoutrements news, Japanese coffee brewing equipment manufacturer Hario has introduced a wine-bottle-shaped version of its cold immersion brewer, Mizudashi. 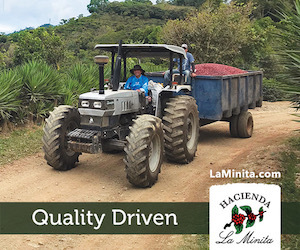 The brewer is a variation of Hario’s existing Mizudashi cold brewer, which maintains a cylindrical shape. 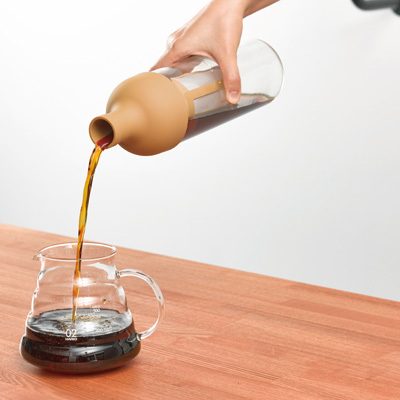 The new model, called Filter-In Coffee Bottle, more closely resembles Hario’s bottle-shaped tea brewer, which was released in 2013. 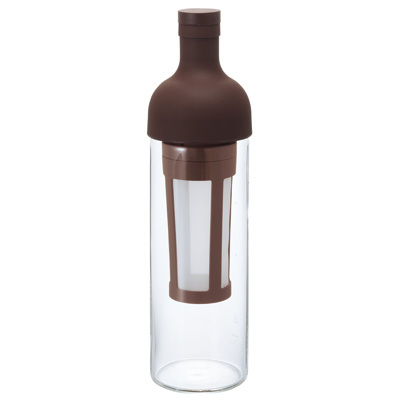 Made at Hario’s manufactuing headquarters in Koga, Ibaraki, the Filter-In Coffee model includes a 650ml-capacity glass bottle, removable silicone rubber stoppers and spouts, and a polyester mesh filter with a plastic strainer. 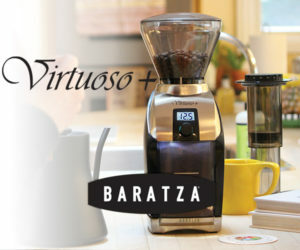 Hario suggests starting with cold water, and allowing for an eight-hour extraction time in the refrigerator. If I didn’t already own four French coffee presses with which I brew cold coffee daily, this would be an interesting experiment. But I don’t need more coffee apparatuses in my cabinets taking valued space.